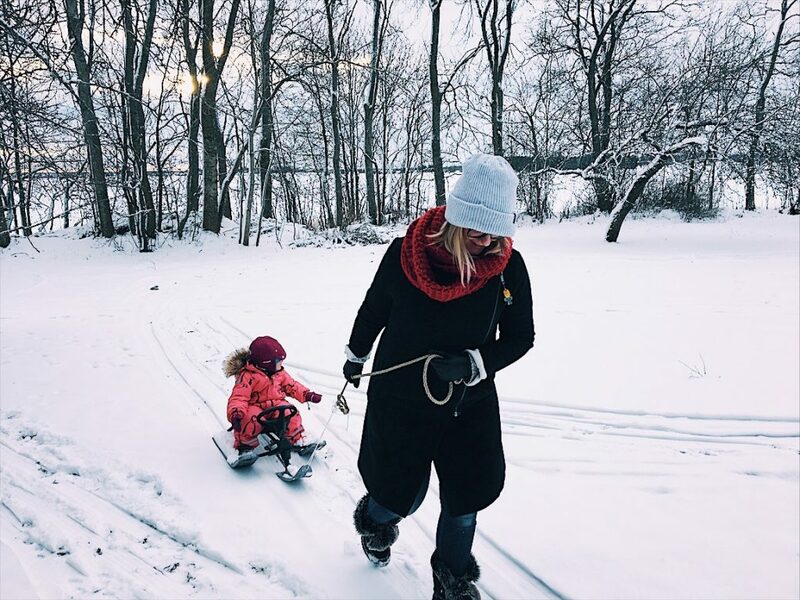 Getting outdoors and being active during the winter months can be a challenge, particularly with a young family. 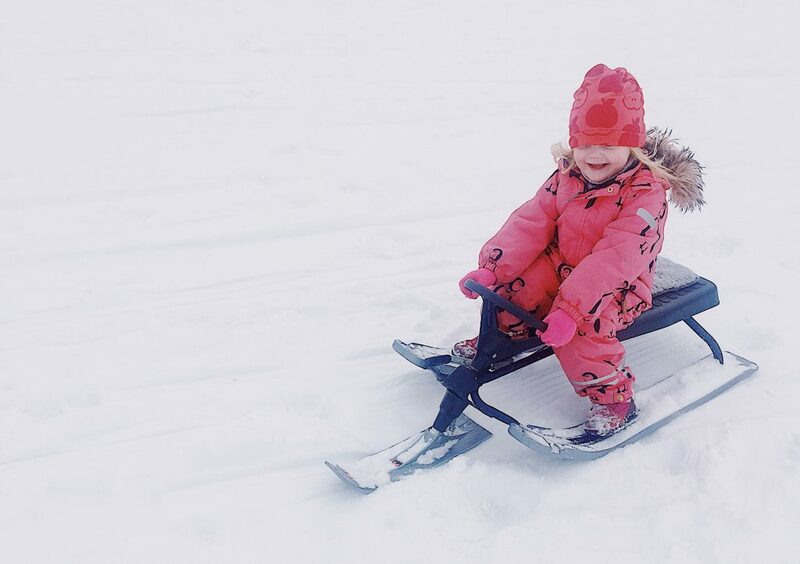 Sledging, or åka pulka in Swedish, is a terrific activity for the whole family. It’s also relatively cheap. You can pick up a second hand sledge in most good second hand stores in Sweden. Or, pick one up rather cheaply from the larger sports stores, such as XXL or Stadium. The best sledging in Stockholm…basically everywhere with a hill. But, there are one or two great spots with little cafe and meeting places. Hellasgården – on the outskirts of the Nacka nature reserve it claims to be 15 minutes from downtown Slussen, if you add 2 kids, a buggy and life’s daily survival kit make that 15 minutes 35 and it’s more accurate. Still very easy to get to by bus and car. There is also a cafe with lunch and fika items next to the ski and sledging hill which makes that daily survival kit a bit less heavy to carry. Hellasgården also offers ski tracks, ski rental, ice skating and rental plus sauna and outdoor swimming at this time of year. The website describes it as Stockholm’s nearest and largest outdoor activity centre and I would agree with that. Lida – is another nature reserve or community recreation area in Botkyrka and owned by the municipality. It’s a total delight with 35km of nature, parkland, walks, running tracks, bike tracks and cross-country skiing. The name Lida means ‘slope’ in English so where better to take the pulka’s and hit the snow. Lida is a little farther out than Hellasgården, taking the commuter train from Stockholm or Södertälje to the Tullinge station and catching a separate bus to Lida but definitely worth it as it is a whole day out. There is the Lida Inn which serves lunch and fika plus in the actual centre you can work out at the gym, visit the sauna or even play a round of mini-golf.